The reporter behind a blockbuster expose that accused Denver Broncos quarterback Peyton Manning and other top athletes of sports doping defended the story in an interview with MSNBC on Monday. Al Jazeera reporter Deborah Davies said Manning has not denied that he had HGH (human growth hormone — a drug banned by the NFL) secretly shipped to his wife in 2011 while he was still with the Indianapolis Colts and recovering from a neck injury. "He's not answering the allegation that is in the program," Davies insisted. Manning, who has dismissed the report as "garbage" and vowed to sue Al Jazeera, addressed the allegation regarding his wife ESPN after the Al Jazeera report aired Sunday night. "Any medical treatments that my wife received, that's her business," he said. "That has nothing to do with me. Nothing that's been sent to her or (that) my wife has used have I ever taken." Charlie Sly, the pharmacist whom the network secretly recorded making the explosive allegations about Manning and others, has recanted his own words. "What we did was spend six days recording Charlie Sly," Davies said. "He's giving fact upon fact upon fact." Davies said viewers should compare Sly's demeanor when he is dishing to Al Jazeera mole Liam Collins to the "54 seconds that is recanting." "We don't pay sources," Davies answered, when asked about reports that Collins gave Sly a $250 gift certificate to get him to talk. Asked if she stood by report, titled "The Dark Side," Davies answered: "Absolutely." The allegations against Manning, as well as baseball stars Ryan Howard and Ryan Zimmerman and others, were leveled Sunday in Al Jazeera's undercover probe of doping in global sports. 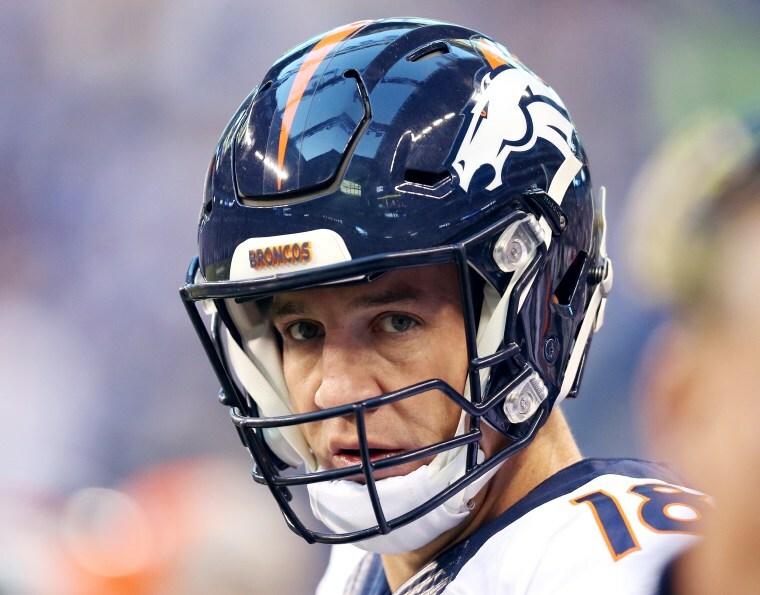 Manning allegedly got HGH from the Guyer Institute, an Indianapolis anti-aging clinic, and tried to cover his tracks by having the shipments mailed to his wife, Al Jazeera reported. The network had Collins, a British hurdler, pretend to be a customer and record Sly talking about the likely NFL Hall of Famer using steroids prescribed to his wife. “Another time that I worked with Peyton, him and his wife would come in after hours and get IVs and s—,” Sly was recording saying. Sly later changed his tune and said Collins secretly recorded his conversations without his knowledge or consent. "The statements on any recordings or communications that Al Jazeera plans to air are absolutely false and incorrect," Sly said.